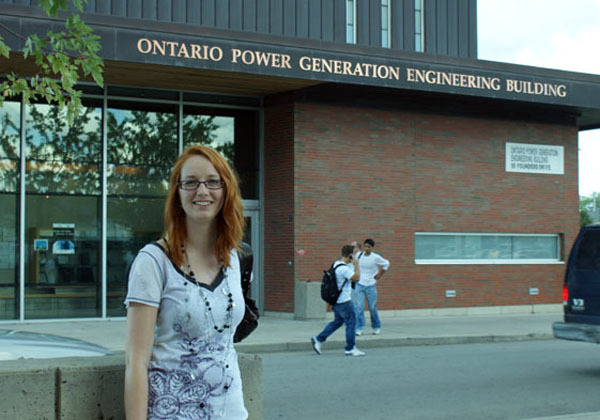 Our Ontario Power Generation Engineering Building houses state-of-the-art labs, academic offices and other learning spaces spread over 40,000 square feet of space. A rapid prototyping and manufacturing lab. A combustion and engines lab. An emerging energy systems lab with solar, wind, hydrogen and fuel-cell technology. The building's equipment was carefully selected to educate students about technologies of the future, and the building itself has become a showcase for the delivery of engineering education.